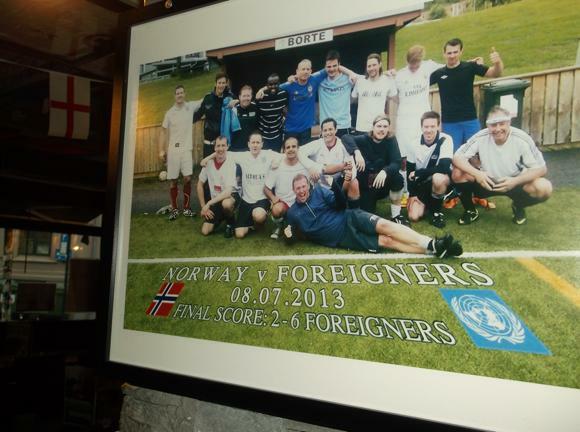 Norway’s third largest city of Trondheim has been its football capital for nearly 30 years. Record title-winners Rosenborg BK (‘RBK’) have dominated the domestic game since the return of revered coach Nils Arne Eggen to win the double in 1988. More than this, Rosenborg put Norwegian club football on the map, beating Milan, Real Madrid, Porto and Borussia Dortmund in the group stages of the Champions League. No Scandinavian team has come to close to Rosenborg’s 11 participations. With its higher international profile, Trondheim staged the 2016 UEFA Super Cup at Rosenborg’s home of the Lerkendal, Norway’s second-largest football stadium. A near capacity 18,000 squeezed in to watch Real Madrid overcome Sevilla 3-2 thanks to a thundering run and strike from Dani Carvajal as the game edged towards penalties. Norwegian champions for a record 25th time in 2017, Rosenborg have not always ruled supreme, not even in this former Viking capital. The first club to be formed here was Kvik, in 1900. ‘Trondheims Eldste Fotballklubb’ put the accent on the round-ball game early on, other sports such as bandy, boxing and skiing taking a back seat. Kvik Trondheim, as they became known, to distinguish the club from the equally venerable Kvik of Halden, won through to the semi-final of the Norwegian Cup in 1915. Kvik’s golden era came in the 1920s, with regular cup wins and healthy attendances around the grass pitch at Sorgenfri, close to today’s Lerkendal. 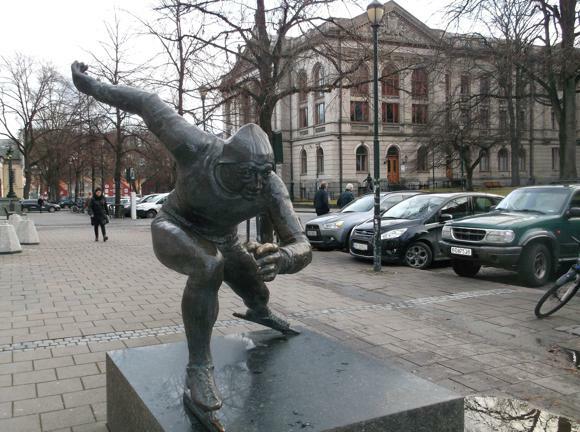 Set in the district of the same name south of the city centre, the Lerkendal may be synonymous with Rosenborg’s glamorous European nights but ‘The Troll Children’ only moved in ten years after the stadium was unveiled in 1947. 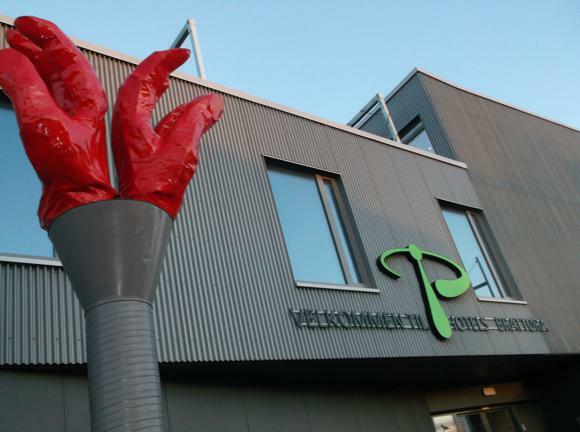 Its first tenants were Kvik – and Freidig, now based at Sigurd Jorsalfars veg 31 in Eberg, south-east Trondheim. Kvik played at the Lerkendal until as recently as 2000. Today the club has two bases: a clubhouse and first-team pitch at Klostergata 86, south-west Trondheim, and a training centre shared with the children’s teams of Trond on Ibsens gate in the heart of Rosenborg. This residential quarter was also where groups of youngsters formed a new team in 1917: Sportsklubben Odd, after Norway’s pioneering club from Skien. Overshadowed by Kvik, this team couldn’t make any headway until it changed its name a decade or so later, to Rosenborg Ballklub, aka the Rosenborg Trondheim of the modern European game. By the 1920s, there was another football club on the scene, Ranheim. Based around the waterside community of the same name and its paper mill east of town, Ranheim Fotball played in Norway’s top flight for several seasons either side of World War II, when English coach Harry Thompson ran the team. In the late 1940s and 1950s, Ranheim, Kvik and Freidig all featured in Norway’s two-division top bracket – but not Rosenborg. Freidig even won through to the national final in 1948, and were crowned champions of Norway after a 2-1 win over Sparta of Sarpsborg. Once the top flight became one single division in 1961, these three clubs lost motivation and Rosenborg’s up-and-coming youngsters, including later manager Nils Arne Eggen, propelled the club to a first league title in 1967. Rosenborg’s local superiority is best shown the scorelines in their cup wins over Ranheim, 16-1 in the 1980s and 6-0 in 1996. 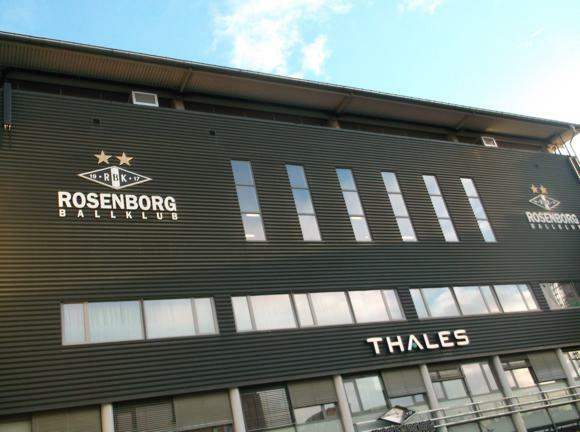 A decade later, Rosenborg having finished mid-table after winning 13 consecutive titles, the dominant club agreed a nursery deal with Ranheim and has since run in tandem. Coming close to promotion to the second flight in 2007 and 2008, Ranheim succeeded in 2009. Since then, the Blues have twice lost out in promotion play-offs but made the Eliteserien in 2017. European football may well be on the horizon after strong spring form in 2018 included a 1-1 draw at Rosenborg. Ranheim play at the EXTRA Arena, built in 2010 and improved in 2016. 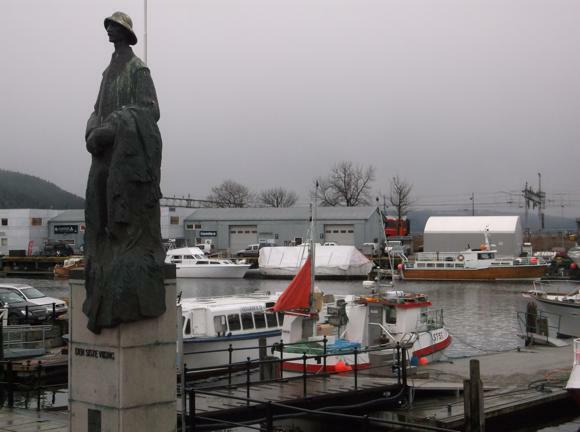 With the closing of the paper mill so did nearby Ranheim train station – public transport consists of bus No.6 from Munkegata in central Trondheim to Ranheims idrettsplass, journey time 15min. Buses run every 30min until after 11pm. Tickets are available online, 200Nkr for numbered seats, 150Nkr for open seating, or on the day from the ticket windows on Ranheimsvegen. Trondheim Airport is 32km (20 miles) east of the city centre. A train (82Nkr, every 1hr-1.5hr Mon-Fri, every 2hr Sat & Sun) leaves from the terminal and takes 35min to Trondheim Central (Senstralstasjon). For the online schedule, enter Trondheim Lufthavn Værnes and Trondheim S. Tickets can be bought online or there’s a machine by the platform. From outside the terminal building, a Flybussen bus leaves every 15min for Trondheim Central, journey time 35min, singles Nkr130. The rival Vaernes Ekspressen Unibuss has the advantage of running to several points in town, including the Lerkendal stadium (45min from airport). Departure times tend to follow incoming flights, about every 15min-1hr. A single into town is Nkr150, a return Nkr240, credit cards accepted. The service does not call at Central station. Norges Taxi Trondheim has a fixed price of 650Nkr into the city centre. Taxis can be booked online or by calling +47 08000. The train station is a 5-10min walk into town but for the stadium you’ll need a city bus, run by AtB. A single ticket is Nkr41 from a machine by the stop, Nkr50 on board. A 24hr ticket is 105Nkr, 72hr 165Nkr. Visit Trondheim has a complete accommodation database. 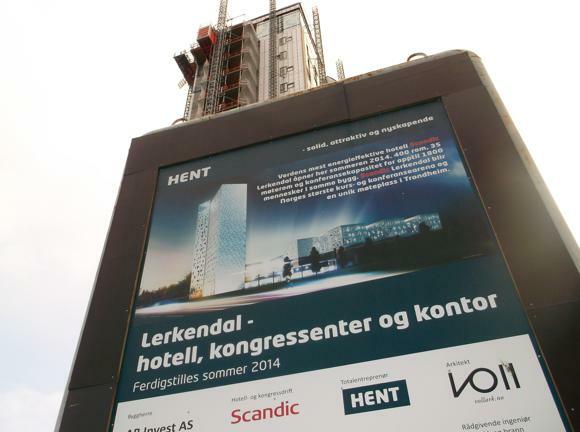 Right by the stadium, opened in 2014, the Scandic Lerkendal contains nearly 400 rooms across 21 floors, topped by a skybar and featuring a gym and restaurant. 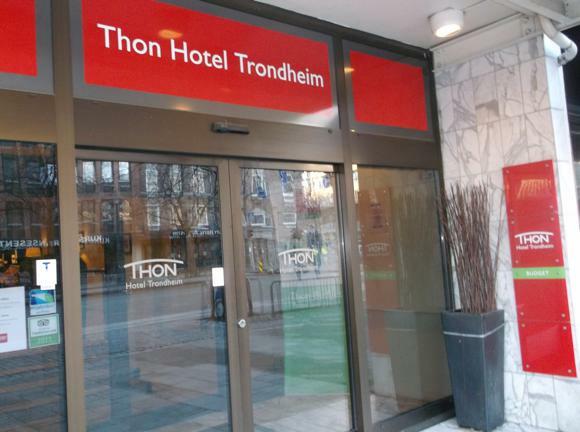 The mid-range Norwegian Thon group has three branches around the city centre. 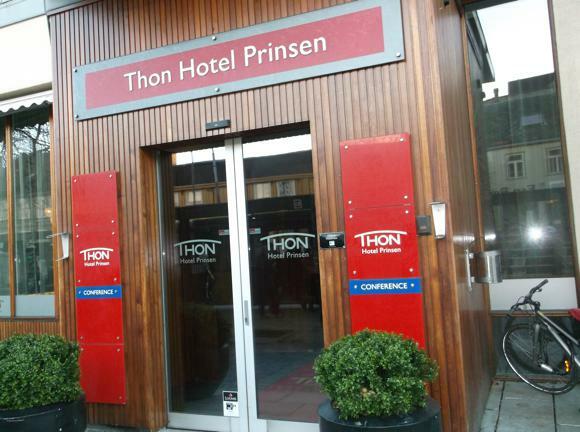 A short walk apart, the Thon Hotel Trondheim and slightly classier Prinsen provide affordable comfort and convenience – you’ll find a chain restaurant and the age-old Kieglekroa pub at the Prinsen. 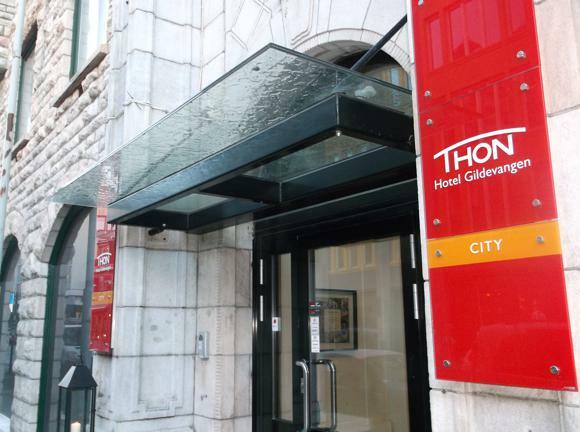 Nearer the station, the Thon Hotel Gildevangen is set in an elegant building dating back to 1908. 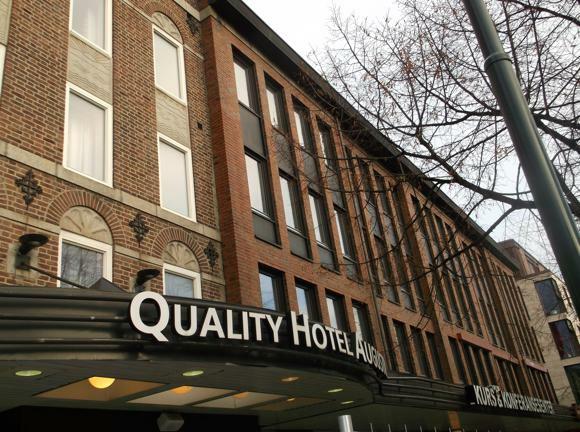 Opened in 1915, the former Grand Hotel is now the Quality Augustin, still in the heart of town and close to the bus stop for the stadium. 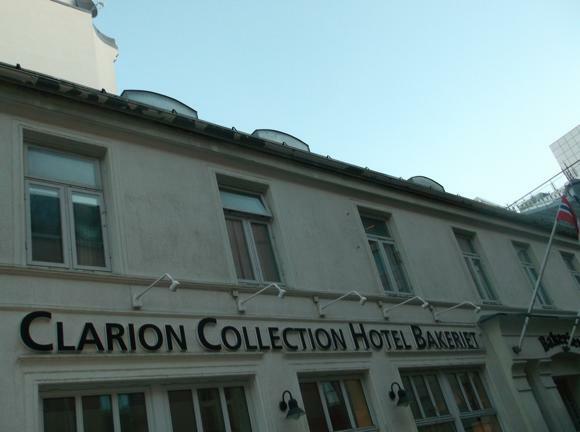 A short walk from the station, the venerable Chesterfield is now in the Best Western chain while the Clarion Collection Bakeriet adds contemporary furnishings to a former bakery, hence the hotel name. Nearby, the Radisson Blu Royal Garden is a notch above, with riverside views, a gym and fine dining too. 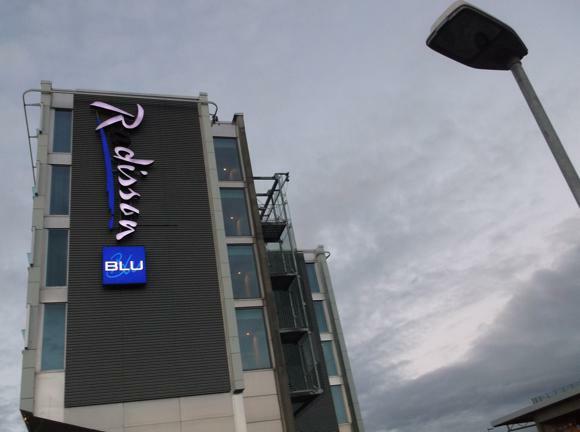 Sister hotel the Radisson Blu Trondheim Airport is handy for early flights. 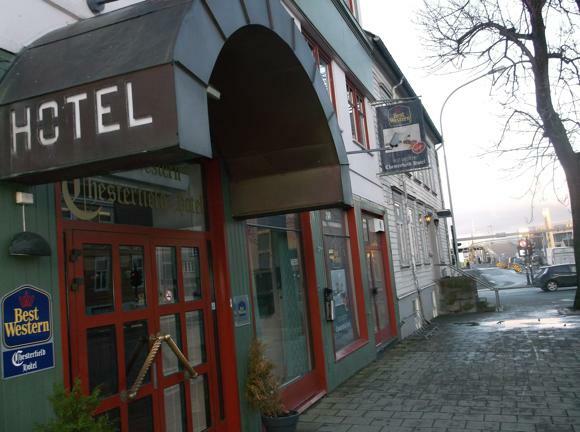 Right next to the train station, P-Hotels Brattøra feels funky and modern, with 128 double rooms and free WiFi. 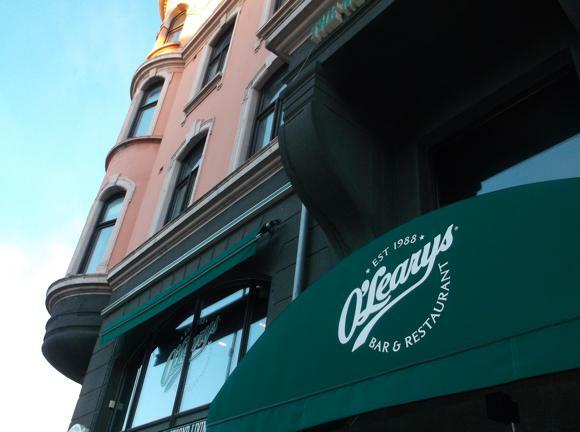 As soon as you stroll up Søndre gate towards town from the station, you’ll spot pubs on either side of the street, evidence of Trondheim’s long-established expat community. 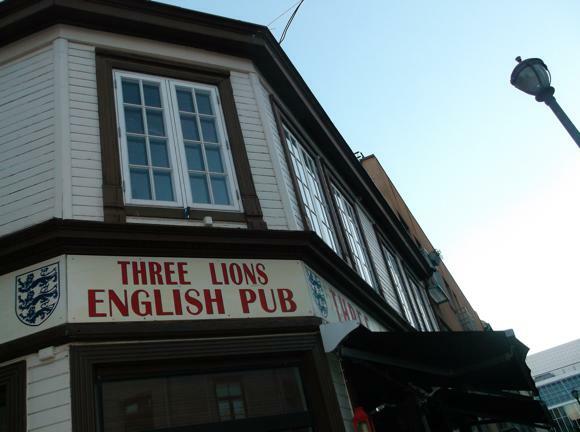 The first one you’ll see, on the corner with Brøttergata, is the Three Lions. 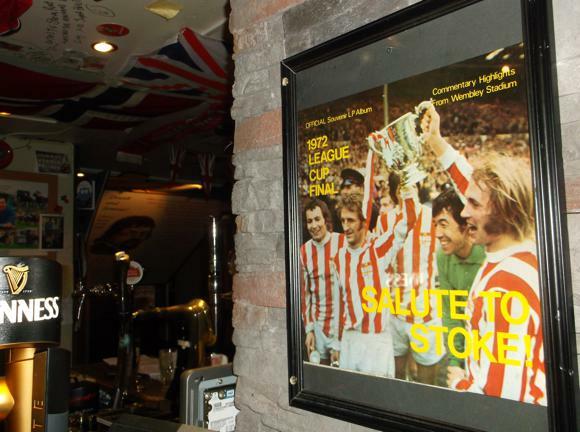 Run by Dougie and team since 2005, this corner hostelry provides live sport and authentic pub grub. 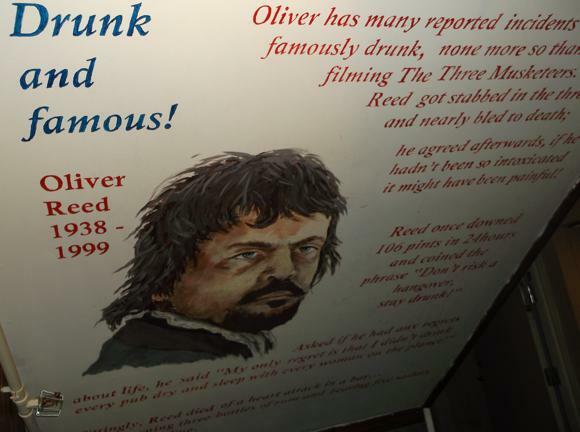 It’s also wonderfully tongue-in-cheek. 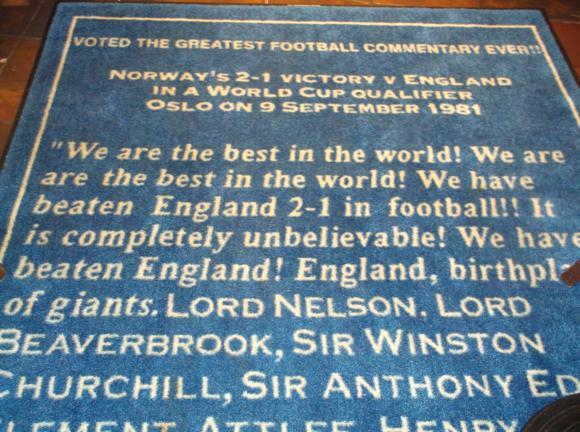 You are greeted in the doorway by the finest carpet in football hospitality, a custom-made rug woven with the words of the manic post-match rant from 1981 by Norwegian commentator Bjørge Lillelien (‘Lord Nelson! 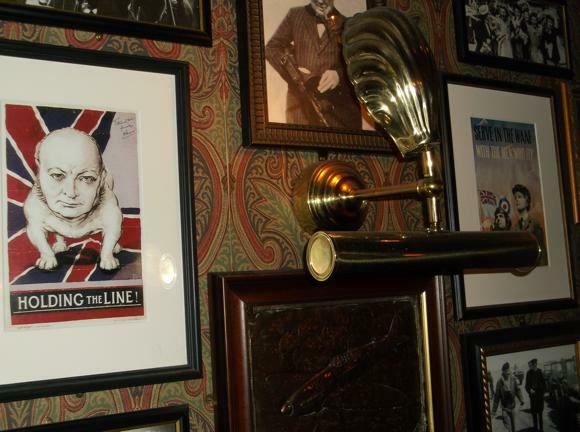 Lord Beaverbrook!’… what was he thinking?). 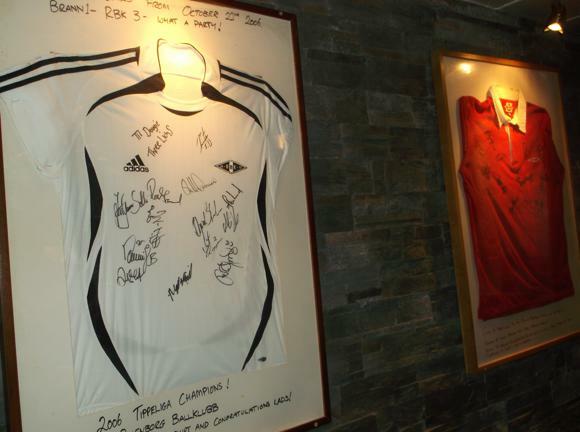 It’s popular with locals too – note the signed Rosenborg shirts and line-ups from matches arranged between domestic and international regulars. 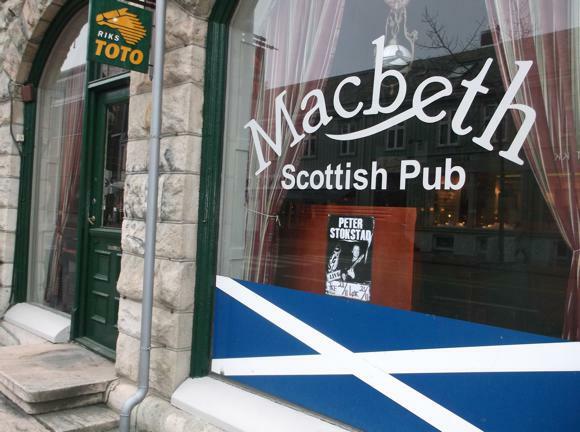 Across the road, Macbeth is another handy spot for TV football with a suitably extensive choice of whiskies. 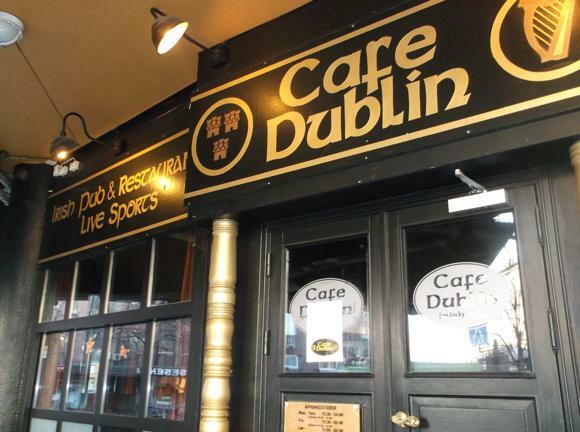 It’s under the same ownership as the Café Dublin in the city centre, where live music complements the live sport. 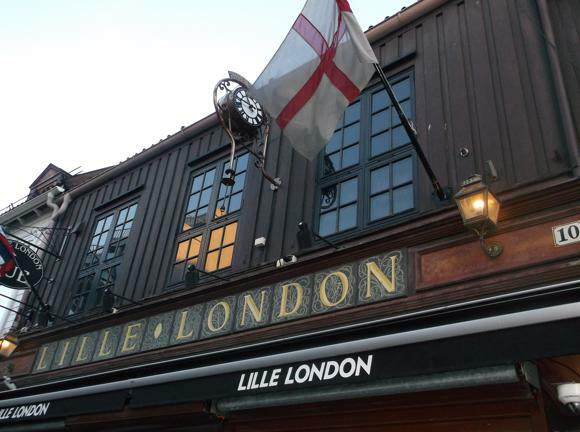 Still very much in the pub genre, Lille-London on Carl Johans gate is filled with radio-era memorabilia, with a billiard room upstairs and televised match action. 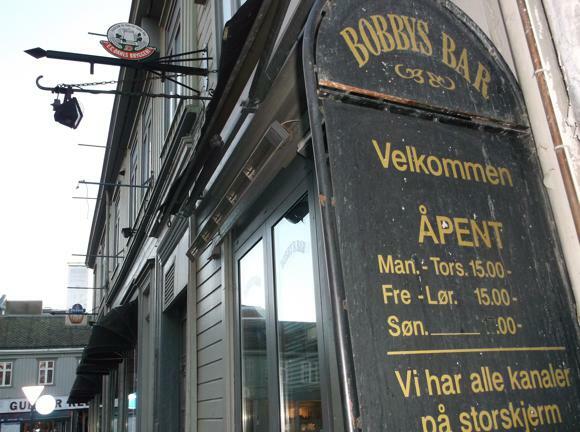 A few houses along, Bobby’s Bar is a friendly, lively spot open from 3pm until late. 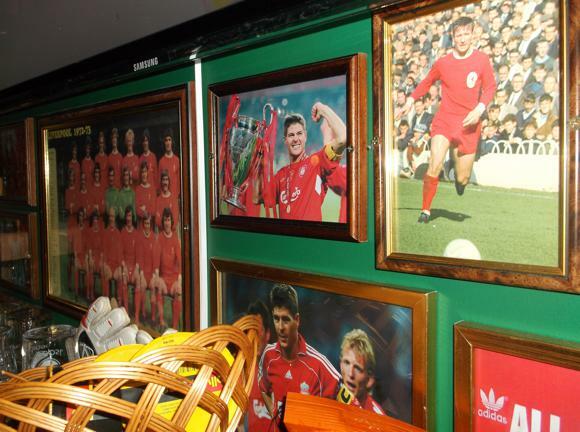 Also nearby, the Trondheim branch of Scando sport-bar chain O’Learys has the usual franchise grilled offerings and US-centric memorabilia – but a special area has been dedicated to Liverpool FC.